Dunedin South Coast, looking along Smaills Beach to Tomahawk Beach, Lawyers Head and St Kilda behind. Bird Island at left. 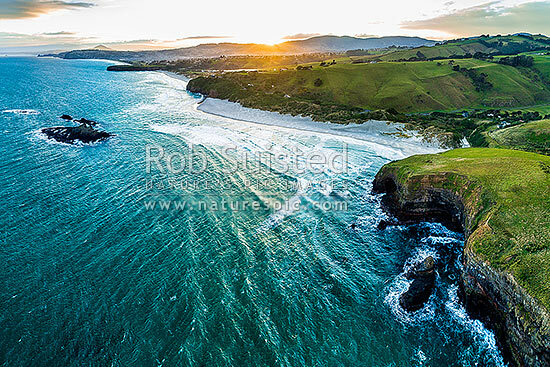 Aerial view at sunset, from near Maori Head, Otago Peninsula, Dunedin City District, Otago Region, New Zealand (NZ), stock photo.